The extremely versatile Joseph Santa Maria shows once again that he can bend a rhythm and conjure up something new with each album. 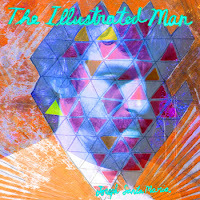 His latest, The Illustrated Man is great example of a crisp no nonsense modern jazz record. I first came across Santa Maria's work through the brilliant album he did with his former group, A Giraffe, an album which was one of JazzWrap's 2011 Albums of the Year. For The Illustrated Man, Santa Maria has assembled another quartet of musicians he has worked with for awhile to present a classic view with modern muscularity. I loved the brashness of "Open Air." Strong, confident yet playful notes eminate from Santa Maria's sax followed by a complex set of patterns from Lessman's kit. The group then get into a groove with "Bud Powell" led by Santa Maria with Terranova and Koonse, performing some soft lines that give the piece a nice romantic feel underneath Santa Maria's bold and intricate notes. It's groovy but complicated, and that's a perfect mixture. "I Saw A Color Box," a piece originally writing with A Griaffe, sounds more free form with Koonse on guitar (replacing the original piano lines). In addition, Terranova gives the bass lines a lot more muscle. "I Saw A Color Box" feels more fleshed out and I love it. "Green And Black" a midtempo ballad with a revolving melody, allows the quartet to expriement and move in various directions but not in an avant garde fashion. This is more like floating along the edges of the original chords and creates an extra tapestry of notes that interconnect. "Making Music Time" holds a few soulful and blues-like tones and quietly leads the listener down the closing path to the conclusion of The Illustrated Man's journey. Joseph Santa Maria again circles himself with a stellar band that not only helps interpret his material to perfection--they also make their notes their own. Santa Maria continues to grow with each project. The Illustrated Man is a more focused and linear project than his diverse work with A Giraffe--but both equally great starting points. 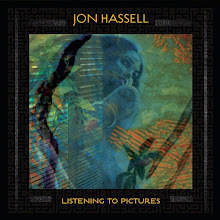 The Illustrated Man is a solid effect from an artist that is still developing his voice but I think you'll tell your friends about this after one spin.